FEBRUARY AND MARCH ARE DENTAL AWARENESS MONTHS AT CULPEPER ANIMAL HOSPITAL. Through the months of February and March, you will receive $50.00 off your pets dental. Having a dental done on your pet is one of the most underestimated but beneficial procedures we can do to improve the overall health and comfort of your pet. Call us at 540-829-9085 if you have any questions about the procedure that we may not have answered for you below. One of the most common diseases plaguing dogs and cats today is oral disease. By 3 years of age, 70% of cats and 80% of dogs has some form of gum disease. Without preventative measures and treatment in effect, the disease can not only affect your animal's mouth, but infection can spread through the bloodstream and reach the most vital organs, including the heart. 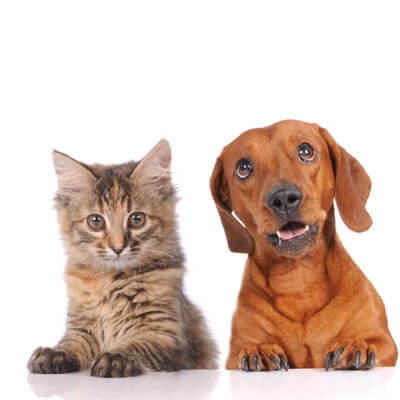 All pets are at risk for developing dental problems. If your pet does, or has ever, displayed any of the warning signs below, periodontal disease may be present and a trip to the veterinarian would be the best course of action. 1. POOR ORAL HYGEINE: Ignoring the condition of your pet's mouth can lead to periodontal disease, tooth loss and other health problems. 2. BREED: Periodontal disease is more common in smaller dogs and pure breed cats. 3. AGE: The risk of your animal showing signs of oral disease increases as they grow older.